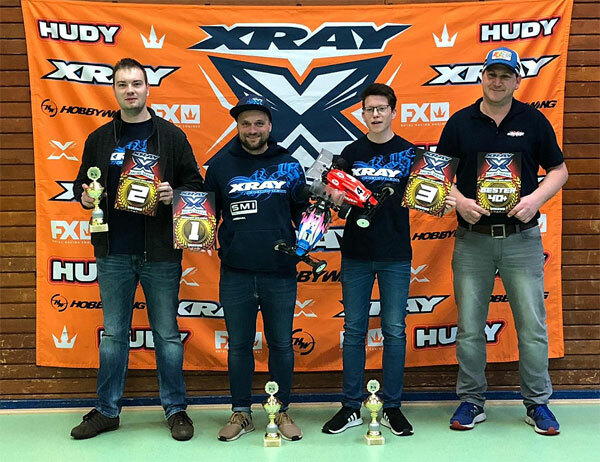 This past Weekend the Final Round of the HK Cup, this time combined with a XRS Challenge, took place in Hürtgenwald in the West of Germany. With over 60 entries the day started early at 8.30 with 3 rounds of qualifications followed by 3 finals. 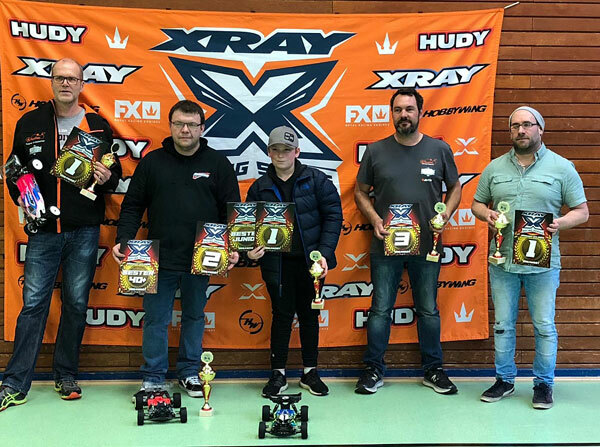 XRAY´s Jens Becker TQed the 2WD Modified Class and also took the overall win followed by Yannik Holzknecht and Nikolas Schmitz. 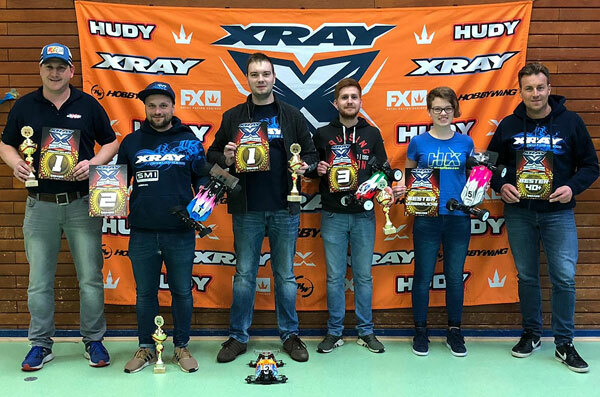 In 4WD Modified, it was again Jens Becker with the TQ, but in the Mains Yannik Holzknecht won A1 and A2 for the overall. This time Jens had to settle for the 2nd place after winning A3. Ronny Hahnel completed the podium. Mick Burbach was in control with wins in the first two finals of the 4WD Stock Class. David Kottus followed in 2nd, while Sascha Hellenmeister finished 3rd. The 2WD Stock Class was a copy of 4wd Stock. 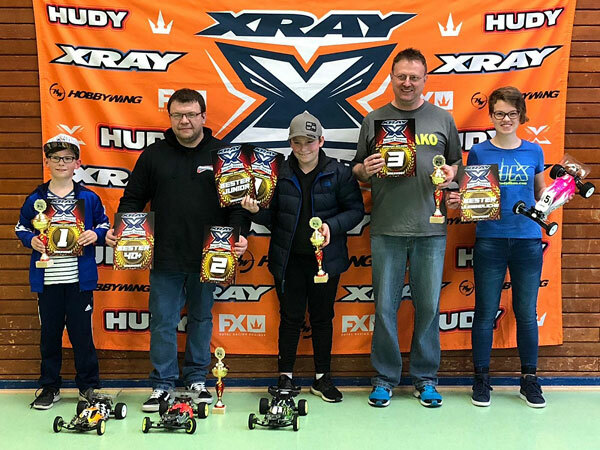 It was again Mick Burbach who took the overall win, while David Kottus another time took the 2nd place. Brian Olbrich rounded out the TOP 3.